Closing on a purchase mortgage usually takes a whole lot of patience that requires several days of waiting, however, there are a few tips to consider that may help you get a quicker closing on your home purchase. 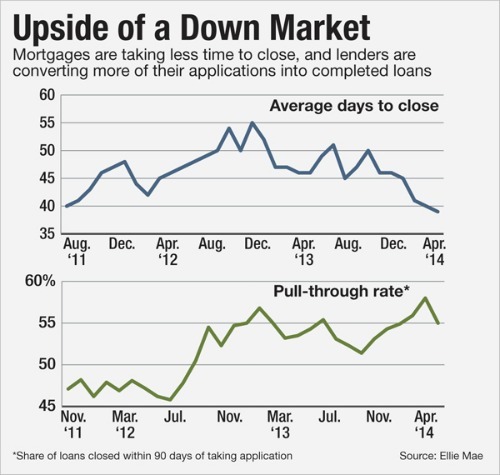 Many current homeowners are aware of the many days required for a mortgage loan to close. There is a way to ensure a faster closing. Purchase mortgage rates are lower and there is no better time to buy today. According to Ellie Mae’s collected data analysis, many lenders across the nation are able to close on an average of 38 days for a purchase mortgage loan. This is a lot quicker than your usual wait. The typical mortgage rate locks at 46 days and some are even longer and can even cost more the longer the wait. Getting approved on a mortgage can be costly, that is why your rate quote through Mortgage Home Base is FREE! Find out how much you can actually save! A constant competition between home buyers offering a quick close to sellers have been known to help with a quicker close making these interested buyers stand-out. With the demand for housing today, thanks to low purchase mortgage rates advertised, the U.S. housing market is certainly on the road to recovery. What exactly is a “quick closing”? Rather difficult to define, typically a quick closing requires for home shoppers to get a mortgage approval quicker than usual within less time to shop around and less time to look over their final settlement statement. A scheduled closing of 30 days or less is considered a quick closing. The best way to ensure a quick closing, you may want to speak to your lender to see if they can help you achieve just that. Also, keep in mind that all banks are different and may not be able to assist with too quick of a closing. Ellie Mae (Mortgage Origination Software Firm) have recently reported an average of 38 days required from banks to allow the process, approval and funding in the month of July. This average can be compared with the average of 42 days in June and definitely has decreased from three years ago. If 38 days is still too long for you to consider it a quick closing, there are several other actions that you can take that may help to minimize that number. Keeping in mind, the quicker the close, the more access you have to not only a lower mortgage rate, but APR as well. If 38 days is still too long for you to consider it to be a quick closing, there are several other actions that you can take that may help to minimize that number. Keeping in mind, the quicker the close, the more access you have to not only a lower mortgage rate, but APR as well. Not sure if you qualify for a low mortgage rate? Let Mortgage Home Base guide you in the right direction. We can help match you with a professional licensed lender in your state today!Find out how much you can actually save! It is possible, but we must keep in mind that there may be various reasons as to why we may not be able to have a purchase loan approved as quick as you would like. For instance, a home appraisal for a purchase requires the participation of the seller and a home title search also takes time and can move as quickly as the company searching it. Though it may be a lot of paperwork that lenders ask for, it is the most important things to have ready when you are applying for a mortgage loan. The necessary documents may include: W-2’s, federal tax return dating back to the past two years, your most recent pay stubs, copies of proper identification, and even child support, along with alimony must also be listed if any. This part of a mortgage loan approval process requires the longest wait. 2) Be honest with your lender – Another important key factor is “honesty“. Be honest and do not refrain from telling your lender the truth to any questions that they may have. The more you cooperate in telling your lender what he/she needs to know in getting your loan approved, the quicker they can guide you into the next important step of your approval. For mortgage loans, employers may be contacted to verify that a borrower is in fact employed and will be able to make their mortgage payments. Also, any information withheld or lied about may result in loan fraud that may require legal actions against you or even make it impossible for you to get approved for a mortgage at a later date. By getting pre-approved on your loan application, credit score, and already having your income and documents verified, gives you a boost on a quicker closing. If you have all of these things already taken care of you would just need to find the home address of the property that most interests you so you can get approved for the mortgage loan amount for that particular property. When a borrower is already pre-approved for a loan, they can then move on to the contract and then the underwriting of the loan. These two steps usually require an additional 7 days or more, so getting these important steps out of the way will definitely save you some time and ensure a quicker loan approval. There is no better time to take advantage of low purchase mortgage rates than today. One of the mortgage rate terms at an all-time low right now are 30-year rates. Since last year in June, these rates have dropped benefiting not just first-time homebuyers, but homeowners looking to buy again. Allow Mortgage Home Base to help you get a free rate quote today requiring only 5 minutes of your time, so you can be one step ahead on your mortgage approval!Find out how much you can actually save!